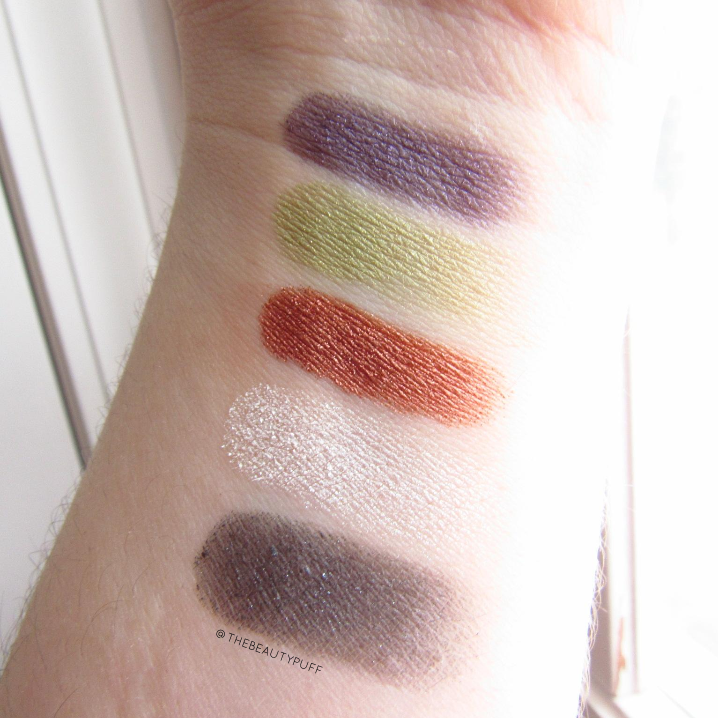 I've tried several of Doucce's products but I have to say, I was most excited with the release of their new Freematic eyeshadows! Most of us are familiar with customizable palettes. Doucce turned this idea into a more travel-friendly version with quads you can buy pre-made, as well as single shadows you can purchase to switch out individual colors. I have one of the pre-made quads, Subtle Elegance, and five individual shades. There are a multitude of gorgeous quads with perfectly coordinated shades to choose from. I loved Subtle Elegance for its versatility. For me, this is my ideal quad no matter what time of year. I love simple, fresh neutrals for spring especially. This group of neutral shades can easily accomodate a pop of color or dramatic liner to completely transform your look. I love this idea as we approach spring, because I can switch up my looks just by changing the colors in my magnetized palette. 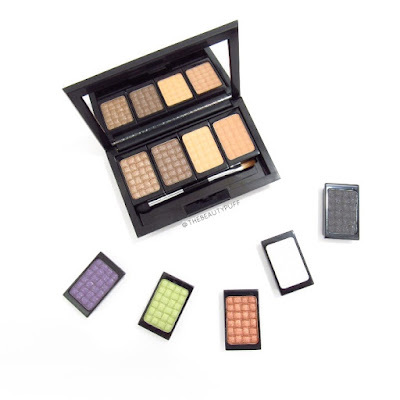 The five single shades I have are perfect examples of how to transform your palette. If I wanted a deeper, more defined look for nighttime, I would put in Lynn, a shimmery black. As a pop of color, I could add Skylar, a gorgeous purple that goes with any one of the neutral shades in my pre-made palette. The possibilities are endless! Each individual shade comes with its own clear cover that slides on to protect the shadow. So you don't have to worry about the shadows being damaged when they're out of the palette! When you choose one of the pre-made palettes, you will get a mix of matte and shimmer shades. I love this because, with this palette for example, I've got a transition shade already included! I love having those basics at hand, and that makes this palette a great travel companion too. The packaging is sturdy and includes a mini brush as well as a mirror for easy application. 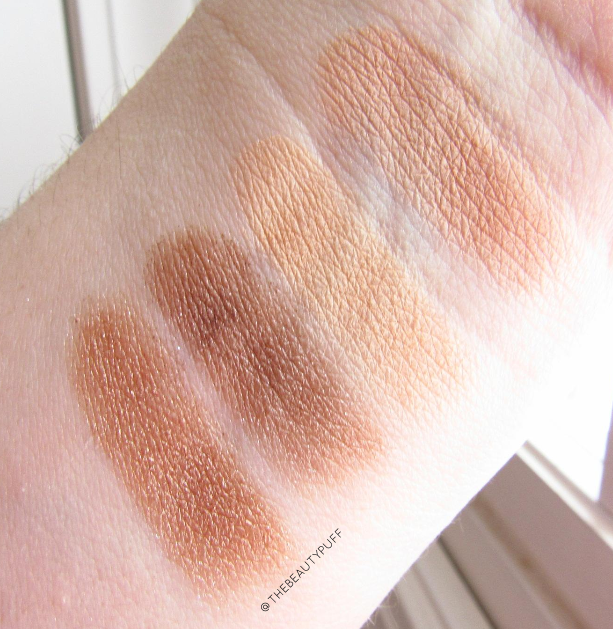 The shades are pigmented and really easy to blend to achieve a flawless look. Overall, I love the concept Doucce came up with. I think we all want the option to customize our own palettes, but certainly don't want to travel with a huge palette of shadows. This makes it a versatile, convenient way to change up your look no matter the season! Check out these, and more products from Doucce below! You're right I only see that as well! I'm not sure if you need to get an entire quad to get more shades. They're customer service is great. You can contact them with your specific question here - http://doucce.com/contact/. Hope that helps!